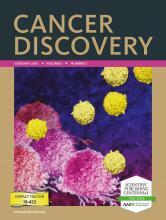 Cancer Discovery, Volume 8, Issue 12, December 2018. The mismatch repair (MMR) system which detects and corrects base mismatches and insertions and deletions that occur during DNA synthesis is deregulated in approximately 20% of human cancers. MMR-deficient tumors have peculiar properties, including early-onset metastatic potential but generally favorable prognosis, and remarkable response to immune therapy. The functional basis of these atypical clinical features has recently started to be elucidated. Here, we discuss how the biological and clinical features of MMR-deficient tumors might be traced back to their ability to continuously produce new somatic mutations, leading to increased levels of neoantigens, which in turn stimulate immune surveillance. SIGNIFICANCE: Tumors carrying defects in DNA MMR accumulate high levels of mutations, a feature linked to rapid tumor progression and acquisition of drug resistance but also favorable prognosis and response to immune-checkpoint blockade. We discuss how the genomic landscape of MMR-deficient tumors affects their biological and clinical behaviors. 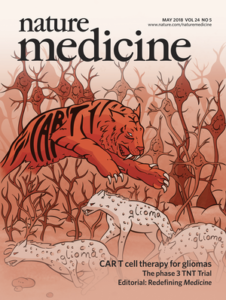 Genome Medicine, November 28, 2018, Vol 10 (1): 91. The emergence of drug resistance depends on the ability of the genome of cancer cells to constantly mutate and evolve under selective pressures. The generation of new mutations is accelerated when genes involved in DNA repair pathways are altered. Notably, although the emergence of new mutations fosters drug resistance, new variants can nevertheless become novel antigens that promote immune surveillance and even restrict cancer growth. Cancer Cell VOLUME 34, ISSUE 1, P148-162.E7, JULY 09, 2018. Targeting HER2 is effective in 24% of ERBB2 amplified metastatic colorectal cancer; however, secondary resistance occurs in most of the cases. We studied the evolution of individual metastases during treatment to discover spatially resolved determinants of resistance. Circulating tumor DNA (ctDNA) analysis identified alterations associated with resistance in the majority of refractory patients. ctDNA profiles and lesion-specific radiographic reports revealed organ- or metastasis-private evolutionary patterns. When radiologic assessments documented progressive disease in target lesions, response to HER2 blockade was retained in other metastases. Genomic and functional analyses on samples and cell models from eight metastases of a patient co-recruited to a postmortem study unveiled lesion-specific evolutionary trees and pharmacologic vulnerabilities. Lesion size and contribution of distinct metastases to plasma ctDNA were correlated. Ibarrola-Villava M, Cervantes A, Bardelli A.
Biochim Biophys Acta. 2018 Jun 27. pii: S0304-419X(18)30066-0.Review. 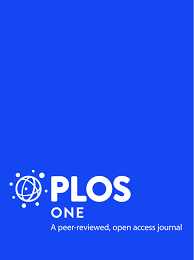 PubMed PMID: 29959990. Precision medicine approaches have revolutionized oncology. Personalized treatments require not only identification of the driving molecular alterations, but also the development of targeted therapies and diagnostic tests to identify the appropriate patient populations for clinical trials and subsequent therapeutic implementation. Preclinical in vitro and in vivo models are widely used to predict the efficacy of newly developed treatments. Here we discuss whether, and to what extent, preclinical models including cell lines, organoids and tumorgrafts recapitulate key features of human tumors. The potential of preclinical models to anticipate treatment efficacy and clinical benefit is also presented, using examples in different tumor types. Russo M, Lamba S, Lorenzato A, Sogari A, Corti G, Rospo G, Mussolin B, Montone M, Lazzari L, Arena S, Oddo D, Linnebacher M, Sartore-Bianchi A, Pietrantonio F, Siena S, Di Nicolantonio F, Bardelli A.
Nat Commun. 2018 Jun 12;9(1):2287. 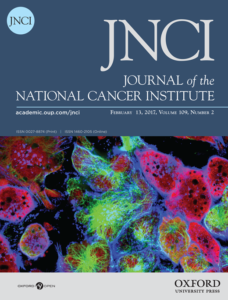 Attempts at eradicating metastatic cancers with targeted therapies are limited by the emergence of resistant subclones bearing heterogeneous (epi)genetic changes. 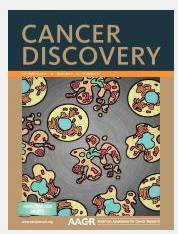 We used colorectal cancer (CRC) to test the hypothesis that interfering with an ancestral oncogenic event shared by all the malignant cells (such as WNT pathway alterations) could override heterogeneous mechanisms of acquired drug resistance. Here, we report that in CRC-resistant cell populations, phylogenetic analysis uncovers a complex subclonal architecture, indicating parallel evolution of multiple independent cellular lineages. Functional and pharmacological modulation of WNT signalling induces cell death in CRC preclinical models from patients that relapsed during the treatment, regardless of the drug type or resistance mechanisms. Concomitant blockade of WNT and MAPK signalling restrains the emergence of drug-resistant clones. Reliance upon the WNT-APC pathway is preserved throughout the branched genomic drift associated with emergence of treatment relapse, thus offering the possibility of a common therapeutic strategy to overcome secondary drug resistance. Mainardi S, Mulero-Sánchez A, Prahallad A, Germano G, Bosma A, Krimpenfort P, Lieftink C, Steinberg JD, de Wit N, Gonçalves-Ribeiro S, Nadal E, Bardelli A, Villanueva A, Bernards R.
RAS mutations are frequent in human cancer, especially in pancreatic, colorectal and non-small-cell lung cancers (NSCLCs)1,2,3. Inhibition of the RAS oncoproteins has proven difficult4, and attempts to target downstream effectors5,6,7 have been hampered by the activation of compensatory resistance mechanisms8. It is also well established that KRAS-mutant tumors are insensitive to inhibition of upstream growth factor receptor signaling. 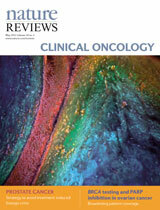 Thus, epidermal growth factor receptor antibody therapy is only effective in KRAS wild-type colon cancers9,10. 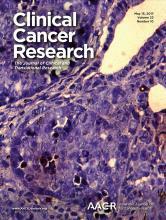 Consistently, inhibition of SHP2 (also known as PTPN11), which links receptor tyrosine kinase signaling to the RAS–RAF–MEK–ERK pathway11,12, was shown to be ineffective in KRAS-mutant or BRAF-mutant cancer cell lines13. Our data also indicate that SHP2 inhibition in KRAS-mutant NSCLC cells under normal cell culture conditions has little effect. By contrast, SHP2 inhibition under growth factor–limiting conditions in vitro results in a senescence response. In vivo, inhibition of SHP2 in KRAS-mutant NSCLC also provokes a senescence response, which is exacerbated by MEK inhibition. Our data identify SHP2 inhibition as an unexpected vulnerability of KRAS-mutant NSCLC cells that remains undetected in cell culture and can be exploited therapeutically. Siena S, Sartore-Bianchi A, Garcia-Carbonero R, Karthaus M, Smith D, Tabernero J, Van Cutsem E, Guan X, Boedigheimer M, Ang A, Twomey B, Bach BA, Jung AS, Bardelli A.
Ann Oncol. 2018 Jan 1;29(1):119-126. Mutations in rat sarcoma (RAS) genes may be a mechanism of secondary resistance in epidermal growth factor receptor inhibitor-treated patients. Tumor-tissue biopsy testing has been the standard for evaluating mutational status; however, plasma testing of cell-free DNA has been shown to be a more sensitive method for detecting clonal evolution. Archival pre- and post-treatment tumor biopsy samples from a phase II study of panitumumab in combination with irinotecan in patients with metastatic colorectal cancer (mCRC) that also collected plasma samples before, during, and after treatment were analyzed for emergence of mutations during/post-treatment by next-generation sequencing and BEAMing. The rate of emergence of tumor tissue RAS mutations was 9.5% by next-generation sequencing (n = 21) and 6.3% by BEAMing (n = 16). Plasma testing of cell-free DNA by BEAMing revealed a mutant RAS emergence rate of 36.7% (n = 39). Exploratory outcomes analysis of plasma samples indicated that patients who had emergent RAS mutations at progression had similar median progression-free survival to those patients who remained wild-type at progression. Serial analysis of plasma samples showed that the first detected emergence of RAS mutations preceded progression by a median of 3.6 months (range, −0.3 to 7.5 months) and that there did not appear to be a mutant RAS allele frequency threshold that could predict near-term outcomes. This first prospective analysis in mCRC showed that serial plasma biopsies are more inclusive than tissue biopsies for evaluating global tumor heterogeneity; however, the clinical utility of plasma testing in mCRC remains to be further explored. Forsythe N, Refaat A, Javadi A, Khawaja H, Weir JA, Emam H, Allen WL, Burkamp F, Popovici V, Jithesh PV, Isella C, LaBonte MJ, Mills IG, Johnston PG, Van Schaeybroeck S.
Mol Cancer Ther. 2018 Feb 26. pii: molcanther.0603.2017. BRAFV600E mutations occur in 10% of colorectal cancer (CRC) cases, are associated with poor survival and have limited responses to BRAF/MEK inhibition with or without EGFR inhibition. There is an unmet need to understand the biology of poor prognostic BRAFMT CRC. We have used differential gene expression and pathway analyses of untreated stage II and stage III BRAFMT (discovery set: n=31; validation set: n=26) CRC and an siRNA screen to characterize the biology underpinning the BRAFMT subgroup with poorest outcome. These analyses identified the unfolded protein response (UPR) as a novel and druggable pathway associated with the BRAFMT CRC subgroup with poorest outcome. We also found that oncogenic BRAF drives endoplasmic reticulum (ER) stress and unfolded protein response (UPR) pathway activation through MEK/ERK. Furthermore, inhibition of GRP78, the master regulator of the UPR, using siRNA or small molecule inhibition, resulted in acute ER stress and apoptosis, in particular in BRAFMT CRC cells. 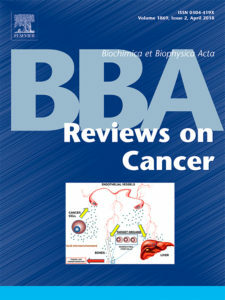 In addition, dual targeting of protein degradation using combined Carfilzomib (proteasome inhibitor) and ACY-1215 (HDAC6-selective inhibitor) treatment resulted in marked accumulation of protein aggregates, acute ER stress, apoptosis and therapeutic efficacy in BRAFMT in vitro and xenograft models. Mechanistically, we found that the apoptosis following combined Carfilzomib/ACY-1215 treatment is mediated through increased CHOP expression. Taken together, our findings indicate that oncogenic BRAF induces chronic ER stress and that inducers of acute ER stress could be a novel treatment strategy for poor prognostic BRAFMT CRC. We performed one of the largest studies of topology-based pathway analysis methods published to date. In this study, we compared seven methods that aim to detect differentially expressed pathways from expression data employing a priori known pathway topologies in their algorithm. The methods were ranked according to their sensitivity to sample and pathway size, ability to detect target pathways, the proportion of differentially expressed pathways, benefit from incorporating topological information and sensitivity to different pathway pre-processing strategies. We also verified type I error rates and described the influence of overexpression and topological properties of a single gene or gene sets on the detection of a pathway as differentially expressed by the selected methods. We demonstrated that multivariable self-contained methods are very sensitive to the changes in gene expression within a pathway leading to the uninformative identification of over 90% pathways as differentially expressed. As a consequence, a significant result can be easily obtained for a particular pathway. On the other hand, univariable methods (mostly competitive) were less sensitive to subtle changes in gene expression but exhibited stable performance over a wide range of scenarios and benefited from the inclusion of topological information. Finally, we proposed guidelines for method selection based on a number of variables connected to experimental design as well as biological hypotheses. Overall, we recommend any of the multivariable approaches to be used mainly for applications with small sample size and subtle changes in gene expression, whereas univariable methods should be preferred for genome-scale applications with large changes in gene expression. The pre-processing strategy for pathway topologies must be carefully considered for univariable methods, and further research is required to identify an optimal pre-processing strategy. Objective Mutations in cell-free circulating DNA (cfDNA) have been studied for tracking disease relapse in colorectal cancer (CRC). This approach requires personalised assay design due to the lack of universally mutated genes. In contrast, early methylation alterations are restricted to defined genomic loci allowing comprehensive assay design for population studies. Our objective was to identify cancer-specific methylated biomarkers which could be measured longitudinally in cfDNA (liquid biopsy) to monitor therapeutic outcome in patients with metastatic CRC (mCRC). 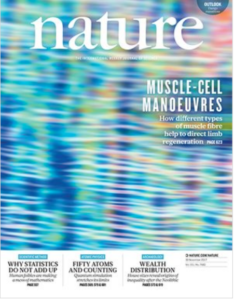 Design Genome-wide methylation microarrays of CRC cell lines (n=149) identified five cancer-specific methylated loci (EYA4, GRIA4, ITGA4, MAP3K14-AS1, MSC). Digital PCR assays were employed to measure methylation of these genes in tumour tissue DNA (n=82) and cfDNA from patients with mCRC (n=182). Plasma longitudinal assessment was performed in a patient subset treated with chemotherapy or targeted therapy. Results Methylation in at least one marker was detected in all tumour tissue samples and in 156 mCRC patient cfDNA samples (85.7%). Plasma marker prevalence was 71.4% for EYA4, 68.5% for GRIA4, 69.7% for ITGA4, 69.1% for MAP3K14-AS1% and 65.1% for MSC. Dynamics of methylation markers was not affected by treatment type and correlated with objective tumour response and progression-free survival. Conclusion This five-gene methylation panel can be used to circumvent the absence of patient-specific mutations for monitoring tumour burden dynamics in liquid biopsy under different therapeutic regimens. This method might be proposed for assessing pharmacodynamics in clinical trials or when conventional imaging has limitations. Amirouchene-Angelozzi N, Swanton C, Bardelli A. Recent technological advances in the field of molecular diagnostics (including blood-based tumor genotyping) allow the measurement of clonal evolution in patients with cancer, thus adding a new dimension to precision medicine: time. The translation of this new knowledge into clinical benefit implies rethinking therapeutic strategies. In essence, it means considering as a target not only individual oncogenes but also the evolving nature of human tumors. 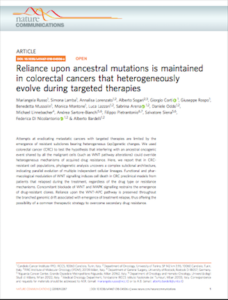 Here, we analyze the limitations of targeted therapies and propose approaches for treatment within an evolutionary framework. Precision cancer medicine relies on the possibility to match, in daily medical practice, detailed genomic profiles of a patient’s disease with a portfolio of drugs targeted against tumor-specific alterations. Clinical blockade of oncogenes is effective but only transiently; an approach to monitor clonal evolution in patients and develop therapies that also evolve over time may result in improved therapeutic control and survival outcomes. Siravegna G, Geuna E, Mussolin B, Crisafulli G, Bartolini A, Galizia D, Casorzo L, Sarotto I, Scaltriti M, Sapino A, Bardelli A, Montemurro F.
Siravegna G, Sartore-Bianchi A, Mussolin B, Cassingena A, Amatu A, Novara L, Buscarino M, Corti G, Crisafulli G, Bartolini A, Tosi F, Erlander M, Di Nicolantonio F, Siena S, Bardelli A. BACKGROUND: Monitoring response and resistance to kinase inhibitors is essential to precision cancer medicine, and is usually investigated by molecular profiling of a tissue biopsy obtained at progression. However, tumor heterogeneity and tissue sampling bias limit the effectiveness of this strategy. In addition, tissue biopsies are not always feasible and are associated with risks due to the invasiveness of the procedure. 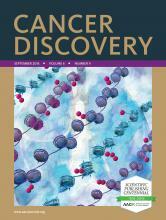 To overcome these limitations, blood-based liquid biopsy analysis has proven effective to non-invasively follow tumor clonal evolution.PATIENTS AND METHODS: We exploited urine cell-free, trans-renal DNA (tr-DNA) and matched plasma circulating tumor DNA (ctDNA) to monitor a metastatic colorectal cancer patient carrying a CAD-ALK translocation during treatment with an ALK inhibitor. RESULTS: Using a custom next generation sequencing panel we identified the genomic CAD-ALK rearrangement and a TP53 mutation in plasma ctDNA. Sensitive assays were developed to detect both alterations in urine tr-DNA. The dynamics of the CAD-ALK rearrangement in plasma and urine were concordant and paralleled the patient’s clinical course. Detection of the CAD-ALK gene fusion in urine tr-DNA anticipated radiological confirmation of disease progression. Analysis of plasma ctDNA identified ALK kinase mutations that emerged during treatment with the ALK inhibitor entrectinib. CONCLUSION: We find that urine-based genetic testing allows tracing of tumor-specific oncogenic rearrangements. This strategy could be effectively applied to non-invasively monitor tumor evolution during therapy. The same approach could be exploited to monitor minimal residual disease after surgery with curative intent in patients whose tumors carry gene fusions. The latter could be implemented without the need of patient hospitalization since urine tr-DNA can be self-collected, is stable over time and can be shipped at specified time-points to central labs for testing. Siravegna G, Marsoni S, Siena S, Bardelli A. During cancer progression and treatment, multiple subclonal populations of tumour cells compete with one another, with selective pressures leading to the emergence of predominant subclones that replicate and spread most proficiently, and are least susceptible to treatment. At present, the molecular landscapes of solid tumours are established using surgical or biopsy tissue samples. 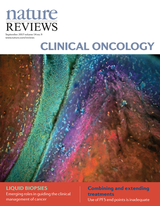 Tissue-based tumour profiles are, however, subject to sampling bias, provide only a snapshot of tumour heterogeneity, and cannot be obtained repeatedly. 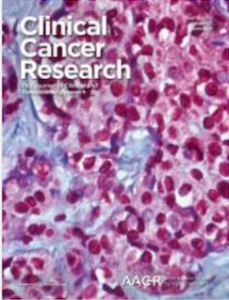 Genomic profiles of circulating cell-free tumour DNA (ctDNA) have been shown to closely match those of the corresponding tumours, with important implications for both molecular pathology and clinical oncology. Analyses of circulating nucleic acids, commonly referred to as ‘liquid biopsies’, can be used to monitor response to treatment, assess the emergence of drug resistance, and quantify minimal residual disease. In addition to blood, several other body fluids, such as urine, saliva, pleural effusions, and cerebrospinal fluid, can contain tumour-derived genetic information. The molecular profiles gathered from ctDNA can be further complemented with those obtained through analysis of circulating tumour cells (CTCs), as well as RNA, proteins, and lipids contained within vesicles, such as exosomes. 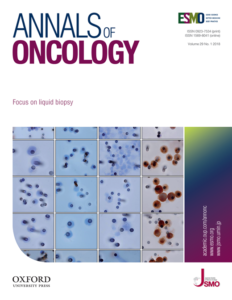 In this Review, we examine how different forms of liquid biopsies can be exploited to guide patient care and should ultimately be integrated into clinical practice, focusing on liquid biopsy of ctDNA – arguably the most clinically advanced approach. Background: Combined MET and BRAF inhibition showed clinical benefit in a patient with rectal cancer carrying BRAFV600E and MET amplification. However after 4 months, acquired resistance emerged and the patient deceased shortly after disease progression. The mechanism of resistance to this drug combination is unknown. Methods: We analysed plasma circulating tumour DNA obtained at progression by exome sequencing and digital PCR. MET gene and mRNA in situ hybridisation analyses in two bioptic specimens obtained at progression were used to confirm the plasma data. Results: We identified in plasma MET gene hyper-amplification as a potential mechanism underlying therapy resistance. Increased MET gene copy and transcript levels were detected in liver and lymph node metastatic biopsies. Finally, transduction of MET in BRAF mutant colorectal cancer cells conferred refractoriness to BRAF and MET inhibition. Conclusions: We identified in a rectal cancer patient MET gene hyper-amplification as mechanism of resistance to dual BRAF and MET inhibition. Cancer Cell. 2017 Feb 13;31(2):172-179. The inherent molecular heterogeneity of metastatic tumors and the ability of cancer genomes to dynamically evolve are not properly captured by tissue specimens. Analysis of cell-free DNA and circulating tumor cells has the potential to change clinical practice by exploiting blood rather than tissue as a source of information. Liquid biopsies are already used to monitor disease response and track the emergence of drug resistance. The suitability of blood-based molecular profiles for early detection and monitoring minimal residual disease is being evaluated. In this review, we address open questions in this fast-evolving field of research. Fujii T, Barzi A, Sartore-Bianchi A, Cassingena A, Siravegna G, Karp DD, Piha-Paul SA, Subbiah V, Tsimberidou AM, Huang HJ, Veronese S, Di Nicolantonio F, Pingle S, Vibat CRT, Hancock S, Berz D, Melnikova VO, Erlander MG, Luthra R, Kopetz ES, Meric-Bernstam F, Siena S, Lenz HJ, Bardelli A, Janku F.
Clin Cancer Res. 2017 Jul 15;23(14):3657-3666.
doi: 10.1158/1078-0432.CCR-16-2592. Epub 2017 Jan 17. 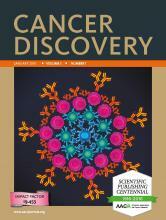 Purpose: Tumor-derived cell-free DNA (cfDNA) from urine of patients with cancer offers noninvasive biological material for detection of cancer-related molecular abnormalities such as mutations in Exon 2 of KRASExperimental Design: A quantitative, mutation-enrichment next-generation sequencing test for detecting KRASG12/G13 mutations in urine cfDNA was developed, and results were compared with clinical testing of archival tumor tissue and plasma cfDNA from patients with advanced cancer. Results: With 90 to 110 mL of urine, the KRASG12/G13 cfDNA test had an analytical sensitivity of 0.002% to 0.006% mutant copies in wild-type background. In 71 patients, the concordance between urine cfDNA and tumor was 73% (sensitivity, 63%; specificity, 96%) for all patients and 89% (sensitivity, 80%; specificity, 100%) for patients with urine samples of 90 to 110 mL. Patients had significantly fewer KRASG12/G13 copies in urine cfDNA during systemic therapy than at baseline or disease progression (P = 0.002). Compared with no changes or increases in urine cfDNA KRASG12/G13copies during therapy, decreases in these measures were associated with longer median time to treatment failure (P = 0.03). Conclusions: A quantitative, mutation-enrichment next-generation sequencing test for detecting KRASG12/G13 mutations in urine cfDNA had good concordance with testing of archival tumor tissue. Changes in mutated urine cfDNA were associated with time to treatment failure. Precision oncology relies on targeted drugs, such as kinase inhibitors, that are presently administered based on molecular profiles obtained from surgical or bioptic tissue samples. The inherent ability of human tumors to molecularly evolve in response to drug pressures represents a daunting diagnostic challenge. Circulating free DNA (cfDNA) released from primary and metastatic lesions can be used to draw molecular maps that can be continuously updated to match each tumor’s evolution. We will present evidence that liquid biopsies can effectively interrogate how targeted therapies drive lesion-specific drug-resistance mechanisms. The impact of drug-induced molecular heterogeneity on subsequent lines of treatment will also be discussed. 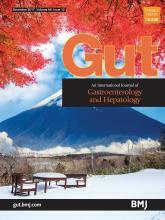 ABSTRACT: c-MET and its ligand HGF are frequently overexpressed in colorectal cancer (CRC) and increased c-MET levels are found in CRC liver metastases. This study investigated the role of the HGF/c-MET axis in regulating migration/invasion in CRC, using pre-clinical models and clinical samples. Pre-clinically, we found marked upregulation of c-MET at both protein and mRNA levels in several invasive CRC cells. Down-regulation of c-MET using RNAi suppressed migration/invasion of parental and invasive CRC cells. Stimulation of CRC cells with rh-HGF or co-culture with HGF-expressing colonic myofibroblasts, resulted in significant increases in their migratory/invasive capacity. Importantly, HGF-induced c-MET activation promoted rapid downregulation of c-MET protein levels, while the MET transcript remained unaltered. Using RNA in situ hybridization (RNA ISH), we further showed that MET mRNA, but not protein levels, were significantly upregulated in tumor budding foci at the invasive front of a cohort of stage III CRC tumors (p < 0.001). Taken together, we show for the first time that transcriptional upregulation of MET is a key molecular event associated with CRC invasion and tumor budding. This data also indicates that RNA ISH, but not immunohistochemistry, provides a robust methodology to assess MET levels as a potential driving force of CRC tumor invasion and metastasis. Purpose: Even if RAS-BRAF wild-type and HER2/MET–negative metastatic colorectal cancer (mCRC) patients frequently respond to anti-EGFR mAbs, acquired resistance almost invariably occurs. Mechanisms of resistance to EGFR blockade include the emergence of KRAS, NRAS, and EGFR extracellular domain mutations as well as HER2/MET alterations. However, these findings derive from retrospective studies that analyzed one single resistance mechanism at a time; moreover, it is still unclear how molecular heterogeneity affects clonal evolution in patients. In this work, we aimed at extensively characterizing and correlating the molecular characteristics of tissue- and blood-based data in a prospective cohort of patients with mCRC who received anti-EGFR antibodies. Experimental design: Twenty-two RAS–BRAF wild-type, HER2/MET–negative mCRC patients progressing on anti-EGFR therapy after initial response underwent rebiopsy. Next-generation sequencing and silver in situ hybridization (SISH)/IHC analyses were performed both on archival tumors and postprogression samples. 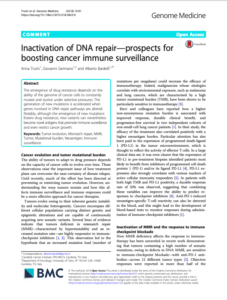 Circulating tumor (ctDNA) molecular profiles were obtained in matched tissue–plasma samples. Results: RAS mutations and HER2/MET amplification were the most frequently detected resistance mechanisms in both tissue and blood sample analysis. On the other hand, BRAF and EGFR ectodomain mutations were much rarer. Patients with acquired MET amplification showed worse PFS on anti-EGFRs. We detected both intralesion heterogeneity, as suggested by co-occurrence of different resistance mechanisms in the same sample, and interlesion heterogeneity. The combined analysis of tissue and blood (ctDNA) results highlights the complexity of clonal evolution triggered by EGFR blockade. Conclusions: Our results indicate that it may be extremely challenging to target the complex landscape of molecular heterogeneity associated with emergence of resistance to targeted therapies in patients with mCRC. Pietrantonio F, Oddo D, Gloghini A, Valtorta E, Berenato R, Barault L, Caporale M, Busico A, Morano F, Gualeni AV, Alessi A, Siravegna G, Perrone F, Di Bartolomeo M, Bardelli A, de Braud F, Di Nicolantonio F.
Cancer Discov (2016); 6(9); 963-71. doi: 10.1158/2159-8290.CD-16-0297. A patient with metastatic BRAF-mutated colorectal cancer initially responded to combined EGFR and BRAF inhibition with panitumumab plus vemurafenib. Pre-existing cells with increased MET gene copy number in the archival tumor tissue likely underwent clonal expansion during treatment, leading to the emergence of MET amplification in the rebiopsy taken at progression. In BRAF-mutated colorectal cancer cells, ectopic expression of MET conferred resistance to panitumumab and vemurafenib, which was overcome by combining BRAF and MET inhibition. Based on tumor genotyping and functional in vitro data, the patient was treated with the dual ALK-MET inhibitor crizotinib plus vemurafenib, thus switching to dual MET and BRAF blockade, with rapid and marked effectiveness of such strategy. Although acquired resistance is a major limitation to the clinical efficacy of anticancer agents, the identification of molecular targets emerging during the first treatment may afford the opportunity to design the next line of targeted therapies, maximizing patient benefit. 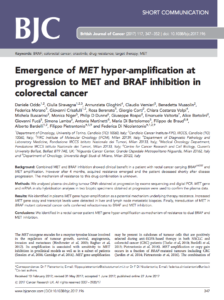 MET amplification is here identified-clinically and preclinically-as a new mechanism of resistance to EGFR and BRAF dual/triple block combinations in BRAF-mutated colorectal cancer. Switching from EGFR to MET inhibition, while maintaining BRAF inhibition, resulted in clinical benefit after the occurrence of MET-driven acquired resistance. Entrectinib is a first-in-class pan-TRK kinase inhibitor currently undergoing clinical testing in colorectal cancer and other tumor types. 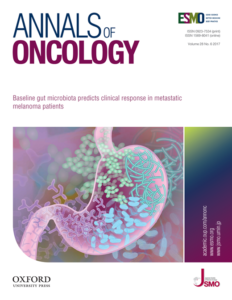 A patient with metastatic colorectal cancer harboring an LMNA–NTRK1 rearrangement displayed a remarkable response to treatment with entrectinib, which was followed by the emergence of resistance. To characterize the molecular bases of the patient’s relapse, circulating tumor DNA (ctDNA) was collected longitudinally during treatment, and a tissue biopsy, obtained before entrectinib treatment, was transplanted in mice (xenopatient), which then received the same entrectinib regimen until resistance developed. Genetic profiling of ctDNA and xenopatient samples showed acquisition of two point mutations in the catalytic domain of NTRK1, p.G595R and p.G667C. Biochemical and pharmacologic analysis in multiple preclinical models confirmed that either mutation renders the TRKA kinase insensitive to entrectinib. These findings can be immediately exploited to design next-generation TRKA inhibitors. Significance: We provide proof of principle that analyses of xenopatients (avatar) and liquid biopsies allow the identification of drug resistance mechanisms in parallel with clinical treatment of an individual patient. 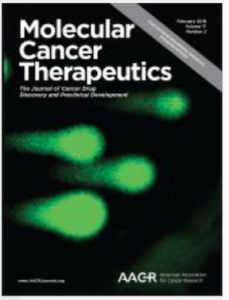 We describe for the first time that p.G595R and p.G667C TRKA mutations drive acquired resistance to entrectinib in colorectal cancers carrying NTRK1 rearrangements. How genomic heterogeneity associated with acquired resistance to targeted agents affects response to subsequent therapy is unknown. We studied EGFR blockade in colorectal cancer to assess whether tissue and liquid biopsies can be integrated with radiologic imaging to monitor the impact of individual oncogenic alterations on lesion-specific responses. Biopsy of a patient’s progressing liver metastasis following prolonged response to cetuximab revealed a MEK1K57Tmutation as a novel mechanism of acquired resistance. This lesion regressed upon treatment with panitumumab and the MEK inhibitor trametinib. In circulating tumor DNA (ctDNA), mutant MEK1 levels declined with treatment, but a previously unrecognized KRASQ61H mutation was also identified that increased despite therapy. This same KRAS mutation was later found in a separate nonresponding metastasis. In summary, parallel analyses of tumor biopsies and serial ctDNA monitoring show that lesion-specific radiographic responses to subsequent targeted therapies can be driven by distinct resistance mechanisms arising within separate tumor lesions in the same patient. Significance: Molecular heterogeneity ensuing from acquired resistance drives lesion-specific responses to subsequent targeted therapies. Analysis of a single-lesion biopsy is inadequate to guide selection of subsequent targeted therapies. ctDNA profiles allow the detection of concomitant resistance mechanisms residing in separate metastases and assessment of the effect of therapies designed to overcome resistance. The anti–epidermal growth factor receptor (EGFR) antibodies cetuximab and panitumumab are used to treat RAS wild-type colorectal cancers (CRCs), but their efficacy is limited by the emergence of acquired drug resistance. After EGFR blockade, about 20% of CRCs develop mutations in the EGFR extracellular domain (ECD) that impair antibody binding and are associated with clinical relapse. We hypothesized that EGFR ECD–resistant variants could be targeted by the recently developed oligoclonal antibody MM-151 that binds multiple regions of the EGFR ECD. MM-151 inhibits EGFR signaling and cell growth in preclinical models, including patient-derived cells carrying mutant EGFR. Upon MM-151 treatment, EGFR ECD mutations decline in circulating cell-free tumor DNA (ctDNA) of CRC patients who previously developed resistance to EGFR blockade. These data provide molecular rationale for the clinical use of MM-151 in patients who become resistant to cetuximab or panitumumab as a result of EGFR ECD mutations. Most solid tumors, including colorectal cancers, shed cell-free DNA (ctDNA) in the blood. ctDNA can be analyzed to generate molecular profiles which capture the heterogeneity of the disease more comprehensively then tumor tissue biopsies. This approach commonly called ‘liquid biopsy’ can be applied to monitor response to therapy, to assess minimal residual disease and to uncover the emergence of drug resistance. This review will discuss current and future developments of ctDNA analysis in the clinical management of colorectal cancer patients. Although recent clinical trials of BRAF inhibitor combinations have demonstrated improved efficacy in BRAF-mutant colorectal cancer, emergence of acquired resistance limits clinical benefit. Here, we undertook a comprehensive effort to define mechanisms underlying drug resistance with the goal of guiding development of therapeutic strategies to overcome this limitation. We generated a broad panel of BRAF-mutant resistant cell line models across seven different clinically relevant drug combinations. 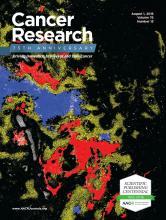 Combinatorial drug treatments were able to abrogate ERK1/2 phosphorylation in parental-sensitive cells, but not in their resistant counterparts, indicating that resistant cells escaped drug treatments through one or more mechanisms leading to biochemical reactivation of the MAPK signaling pathway. Genotyping of resistant cells identified gene amplification of EGFR, KRAS, and mutant BRAF, as well as acquired mutations in KRAS, EGFR, and MAP2K1. These mechanisms were clinically relevant, as we identified emergence of a KRAS G12C mutation and increase of mutant BRAF V600E allele frequency in the circulating tumor DNA of a patient at relapse from combined treatment with BRAF and MEK inhibitors. To identify therapeutic combinations capable of overcoming drug resistance, we performed a systematic assessment of candidate therapies across the panel of resistant cell lines. Independent of the molecular alteration acquired upon drug pressure, most resistant cells retained sensitivity to vertical MAPK pathway suppression when combinations of ERK, BRAF, and EGFR inhibitors were applied. These therapeutic combinations represent promising strategies for future clinical trials in BRAF-mutant colorectal cancer. Background: The NEDD8 conjugation pathway modulates the ubiquitination and activity of a wide range of intracellular proteins, and its blockade by pevonedistat is emerging as a promising therapeutic approach in various cancer settings. 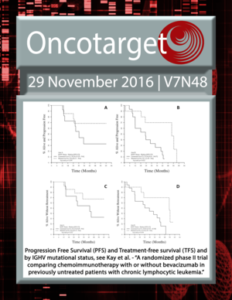 However, systematic characterization of pevonedistat efficacy in specific tumor types and definition of response predictors are still missing. Methods: We investigated in vitro sensitivity to pevonedistat in 122 colorectal cancer (CRC) cell lines by an ATP-based proliferation assay and evaluated apoptosis and DNA content by flow cytometry. Associations between pevonedistat sensitivity and CRC molecular features were assessed by Student’s t test. A 184-gene transcriptional predictor was generated in cell lines and applied to 87 metastatic CRC samples for which patient-derived xenografts (PDXs) were available. In vivo reponse to pevonedistat was assessed in PDX models (≥5 mice per group). All statistical tests were two-sided. Results: Sixteen (13.1%) cell lines displayed a marked response to pevonedistat, featuring DNA re-replication, proliferative block, and increased apoptosis. Pevonedistat sensitivity did not statistically significantly correlate with microsatellite instability or mutations in KRAS or BRAF and was functionally associated with low EGFR pathway activity. While ineffective on predicted resistant PDXs, in vivo administration of pevonedistat statistically significantly impaired growth of five out of six predicted sensitive models (P < .01). In samples from CRC patients, transcriptional prediction of pevonedistat sensitivity was associated with poor prognosis after surgery (hazard ratio [HR] = 2.49, 95% confidence interval [CI] = 1.34 to 4.62, P = .003) and early progression under cetuximab treatment (HR = 3.59, 95% CI = 1.60 to 8.04, P < .001). 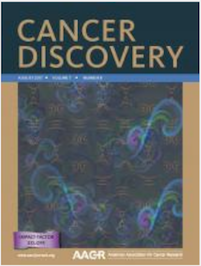 Histological and immunohistochemical analyses revealed that the pevonedistat sensitivity signature captures transcriptional traits of poor differentiation and high-grade mucinous adenocarcinoma. Conclusions: These results highlight NEDD8-pathway inhibition by pevonedistat as a potentially effective treatment for poorly differentiated, clinically aggressive CRC. c-MET and its ligand HGF are frequently overexpressed in colorectal cancer (CRC) and increased c-MET levels are found in CRC liver metastases. This study investigated the role of the HGF/c-MET axis in regulating migration/invasion in CRC, using pre-clinical models and clinical samples. Pre-clinically, we found marked upregulation of c-MET at both protein and mRNA levels in several invasive CRC cells. Down-regulation of c-MET using RNAi suppressed migration/invasion of parental and invasive CRC cells. Stimulation of CRC cells with rh-HGF or co-culture with HGF-expressing colonic myofibroblasts, resulted in significant increases in their migratory/invasive capacity. Importantly, HGF-induced c-MET activation promoted rapid downregulation of c-MET protein levels, while the MET transcript remained unaltered. Using RNA in situ hybridization (RNA ISH), we further showed that MET mRNA, but not protein levels, were significantly upregulated in tumor budding foci at the invasive front of a cohort of stage III CRC tumors (p < 0.001). Taken together, we show for the first time that transcriptional upregulation of MET is a key molecular event associated with CRC invasion and tumor budding. 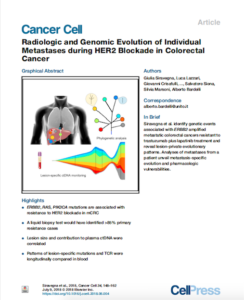 This data also indicates that RNA ISH, but not immunohistochemistry, provides a robust methodology to assess MET levels as a potential driving force of CRC tumor invasion and metastasis. You can also check out related publications from our partners here. MErCuRIC is funded by the European Community’s Framework Programme Seven (FP7) under contract #602901. The material presented and views expressed here are the responsibility of the author(s) only. The EU Commission takes no responsibility for any use made of the information set out.